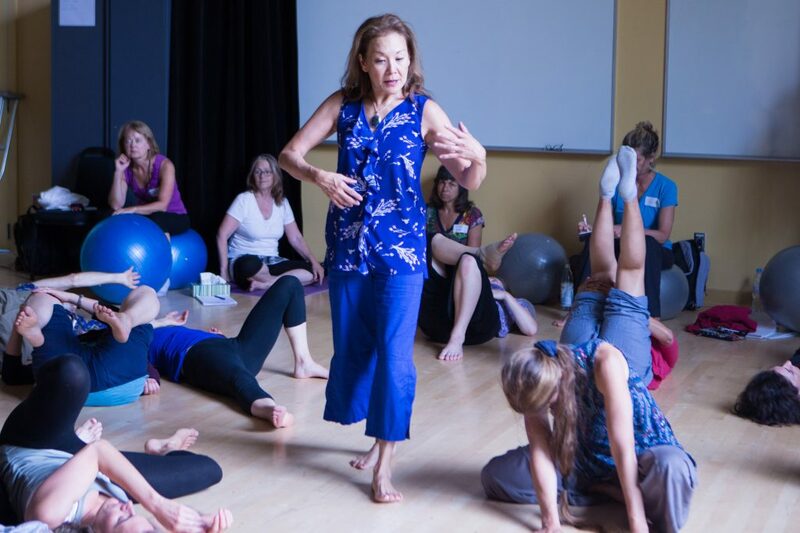 This program explores the richness of the relationship between body, mind, movement and touch in the context of our dynamic Embodied Anatomy and Embodied Developmental Movement approach to Somatic Movement Education. Students are introduced to the foundations and fundamentals of embodiment in working with themselves and others. This 500+ hour program requires three years of study. Being able to demonstrate an embodiment of the body systems and the developmental process, and to share these principles verbally. Understanding the function of body systems, and their role in movement’s initiation and expression. Being able to explain the goals of Somatic Movement Education. Being able to share the basic principles of BMCSM with others in an experiential way. Learn to integrate the BMCSM approach in your profession. The Basic Neurocellular Patterns are the words of our movement. They are the building blocks for the phrases and sentences of our activities. They also establish a base for our perceptual relationships (including body image and spatial orientation) and for our learning and communication. and letting go, weight bearing, rolling, vertical uprightness, locomotion and equilibrium. Developmental milestones including: foetal movement, nursing, head control, eye-hand coordination, rolling, cricumduction, belly crawling, quadrupedal creeping, sitting, kneel-sitting, kneel-standing, half kneel-sitting, half kneel-standing, squatting, standing, cruising, walking). The endocrine glands are the major chemical governing system of the body and are closely aligned with the nervous system. Their secretions pass directly into the blood stream and their balance or imbalance influences all of the cells in the body. The glands are the keystone between the organs and the nervous system and between the nervous system and the fluids. They create crystalline psychophysical states. Initiating breath, voice and movement from each of the following glands and bodies: coccygeal body, gonads, adrenals, pancreas, thoraco body, heart body, thymus, thyroid, parathyroids, carotid bodies, pituitary, mammillary bodies and pineal. Assessing and releasing blockages in the nerve pathways. (brain and spinal cord, autonomic nerves, major somatic and autonomic plexes and their peripheral pathways). To obtain the Somatic Movement Education certificate, all the modules in the first and second year must be completed. Note: The cost of the individual work with a BMCSM Practitioner or Teacher is not included in the tuition prices of the modules, since it only concerns participants who wish to obtain the certificate.